The ultimate all-in-one guide to job hunting success. Getting an edge in the hunt for work is vital and this book offers the edge that millions are missing. This no-nonsense, highly practical and outcome focussed guide to the whole process of job hunting takes you right from the planning stages through writing your CV, flying through aptitude tests, being interviewed on the phone and online, to what to do and say when you finally get the offer you've been hoping for. 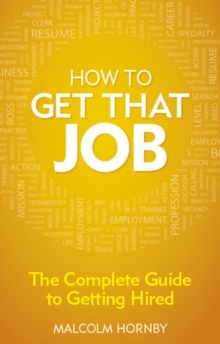 With essential guidance on maximising modern job-hunting tools such as social media and networking websites, as well as special help for those who are new to work, the recently redundant, the long-term unemployed, ex-offenders and graduates, it's one of the most up to date and all-encompassing job hunting books on the market today.